With the typical humor of a registrar we could introduce the amusing but serious working hypothesis that registering some contemporary art involves dealing with appliances and furniture. But actually, the artist’s talent has found new ways that transcend the search for originality and pleasure of modern art and modifies them into other, dynamic forms of sensitivity, communication and stimulation of the senses. Artistic installation on the communication between a couple (Museum for Communication, Berlin). (picture: dalbera from Paris). So let’s reformulate the hypothesis: these artistic approaches are much more than furniture and appliances. Ergo, to register these works is much more than documenting furniture and appliances. Once they enter a museum collection, they have other implications for the registrar, as well as the curators and the conservators are faced with new challenges. Actually, the registrar is closely linked to the conservation and curatorial instances. Jean-Louis Boissier. Globus oculi. 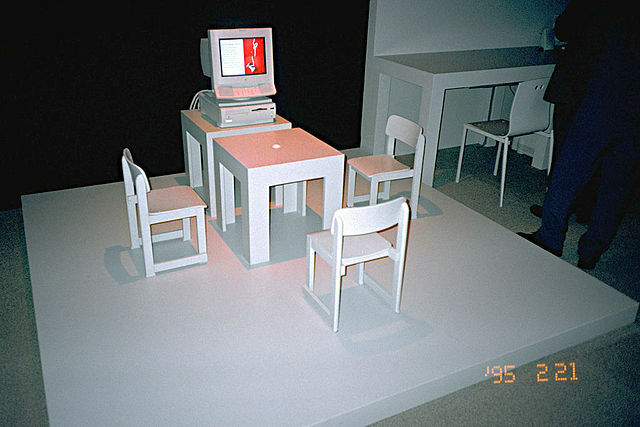 Interactive video-installation, 1992-1993. To the point: what is contemporary art? There are artworks stylistically classified as “contemporary art”, and among them I will talk about the installations, sculptures, video, multimedia, space interventions, ephemeral art and performances. Defined by the time of creation (after the 1960’s) and other speeches, communication, (re) signification, spatiality, context, they are different from modern art, and break previous aesthetic codes. Modern art has particular implications, but contemporary art has more technical and technological implications, aesthetic, and conceptual significance: it must be registered as an object in an expanded context. The registrar requires additional criteria for proper registration, cataloging, documentation and control of this art when it becomes part of a museum collection. For these works of art, the classical concept of “technical data” is far too limited. Contemporary art has additional issues that have to be detected and incorporated into the process of extended registration and get recognized in the data base: labels (tags) and controlled terminologies, fields for free text to add “non-controlled” definitions, taxonomies and folksonomies, conceptual references, indications and aspirations of the artists, measurement that need more advanced measurement technologies than a folding rule, specific requirements of storage and installation, etc. These additional criteria allow better coverage of the material dimension through its extended technical data, and the abstract dimension through its potential meanings. Manuals have been published for the registration of these goods: in Latin America edited by Dirección de Bibliotecas, Archivos y Museos DIBAM of Chile, and Colombian Ministry of Cultura COLCULTURA of Colombia; in Canada by institutions such as the Canadian Heritage Information Network (CHIN) and in Spain by the Subdirección General de Museos Estatales (State Board of Museums), among others. For years, I referred to the registrar of collections as a pre-curator and re-powered. This is the leading professional that manages paper and digital files, that computerizes linear search records of typed text so they become nonlinear hypertext information which allows extended and better research. This registrar registers the technical data of objects with appropriate criteria, which will incorporate those aspects of extended information plus certain levels of meaning, relationship and contextualization. This breadth of registration is required because such objects are cultural creations, and these elements of meaning-relation are also part of the technical data of an enhanced registration. So, a registrar that is a re-powered pre-curator relates more actively with the curatorial instances, without invading other spaces, but enhancing his own in the museum. This is an important step with which the registrar is no longer just the scriptwriter of technical information, and it encourages him / her to exercise more capabilities and criteria. If you read some “classic” texts on registration, written thirty years ago you will perceive some differences: in the last paragraph of the original Spanish text of Concha Vela entitled “El Departamento de registro del MoMA” [Registration Department of the MoMA] written in the 1980’s, you will read that “the Registrar must deal with the physical aspects of the art, not the aesthetics”. But beware! In contemporary art the aesthetic aspects not simply refer to the “beautiful”, they also refer to the languages of art, their codes, their meanings, their senses. The material and the abstract are inseparable here. The registrar as a pre-curator registers art objects, their meanings and aesthetic, as part of expanded technical data. 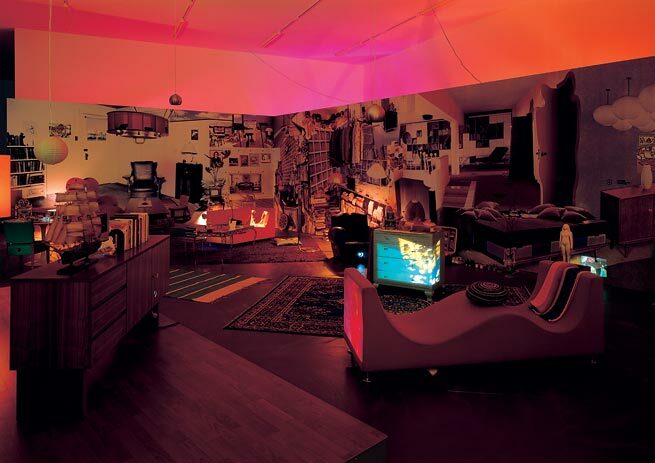 And for contemporary art, he / she records the televisions, computers, media players, chairs and tables that such installations or settings consist of, as well as their contexts. But the registrar must not register only those materials and technical components of a work of contemporary art. Registering contemporary art (not in the sense of “fine arts”) implies to register objects as “artistic unborn.” He must also register purely virtual art (or born-digital), not material, that “doesn’t exist” if there is no computer, software and a monitor to play it. So how and what will we register? In the edition of the 2010 Turner Prize, art critics and artists in the UK have honored Susan Philipsz. The winning work is a video in which she sings traditional Scottish songs, in three scenes, each under a different bridge in the city of London. You can see this video, “Songs of the City“, on Youtube. The video is owned by the Tate Gallery in London. Now, if that same work arrives at our office in the registrar’s department, how do we proceed and what will register? A video? A musical recording? An installation? A virtual or ephemeral art? A landscape “Bridges in the city” or “The River Thames”? What will be their “image” as a work, one or all photograms? What are the technical requirements for playback? What are the physical dimensions and should these include the three-dimensional space of “installation”? Does the work “include” a DVD player, a monitor or a CD? And how will we formally correct record this masterpiece? Under what category item should we record it in our catalog? What kind of information fields do we need and are appropriate? What kind of conceptual references or tags do we have? Is it a work of art only when it is being played? Hypothesis, please! 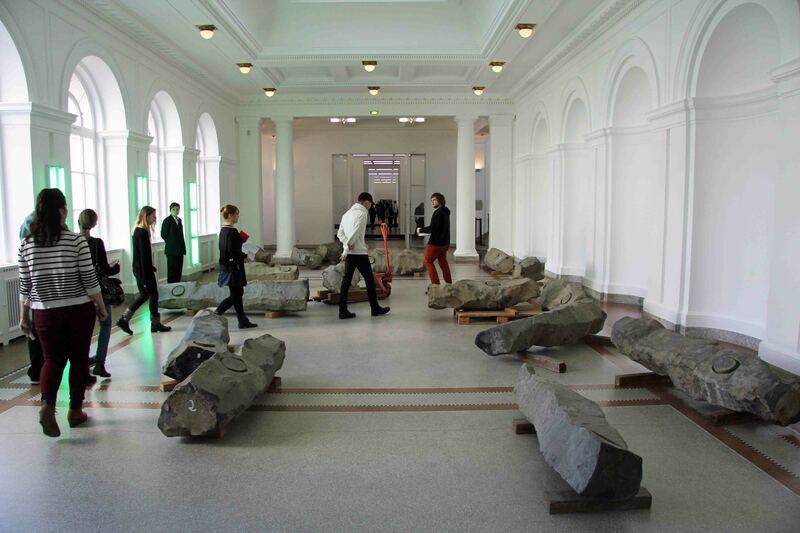 Different, but with additional implications is the installation (which does not consist of televisions, computers, cables, monitors) of Joseph Beuys: The end of the twentieth century, 1982-83, exhibited in the Hamburger Bahnhof, Berlin. Let us review the concept of Installation (contemporary art). 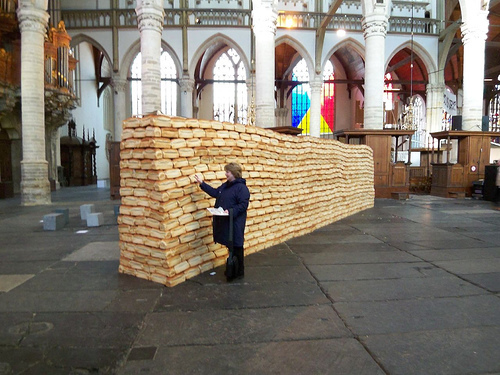 Wikipedia says: “Installation art can be either temporary or permanent. 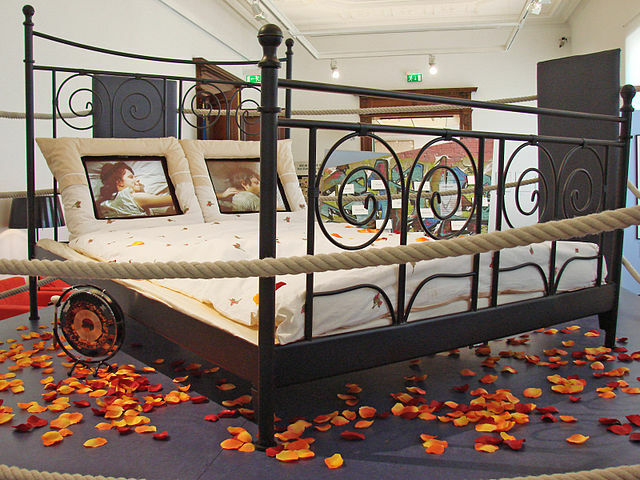 Installation artworks have been constructed in exhibition spaces such as museums and galleries, as well as public and private spaces. The genre incorporates a broad range of everyday and natural materials, which are often chosen for their ‘evocative’ qualities, as well as new media such as video, sound, performance, immersive virtual reality and the internet. 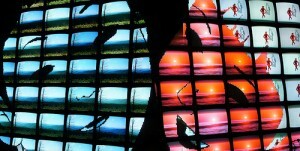 Many installations are site-specific in that they are designed to exist only in the space for which they were created”. This shows that installations have features that must be addressed as a new issue for the conservator-restorer, the curator, and of course the registrar: it is a clash with common ways and procedures established for artworks, may they be modern, ancient or traditional. And they also show the need to update our collections criteria as registrars. Let us also take a look at video sculpture, multimedia, ephemeral art, installations, conceptual art … Registrars that are pre-curators carry on keeping the paperwork organized, registering the object materials that when combined produce a type of art. We also think about them as cultural-aesthetic objects which makes it necessary to register the senses, aesthetics, communication processes and contexts that are generated from these objects, organized according to the direction given by the artist (that’s what makes art). To do that, we must have professionally updated criteria, without which we simply make “a list” of appliances and furniture materials. For multimedia art forms (also called mixed media or media art), there is an indispensable site: the Canadian Heritage Information Network (CHIN). One of its materials is entitled “Media Art and Museums: guidelines and case studies”, that is providing a definition of this art and its documentation, conservation and case studies. Also enter http://www.pro.rcip-chin.gc.ca/gestion_collections-collections_management/docam/module_1-module_1-eng.jsp. There’s only a thin line between some manifestations of contemporary art, many are very close related. What’s in this guideline helps us when we work with video sculpture, video art or installations containing elements common to all. In the case of ephemeral art we have a big problem, because it does not last. It is art that disappears shortly after being created, and brings conceptual challenges for the registrar: register the object, the concept, a photo, the idea? It helps a lot to be a pre-curator registrar who has thought about this long before the first piece of ephemeral art drops on his desk..
A registrar who has to deal with contemporary art in his collection should know the InsideInstallations. It is the website associated with the International Network for the Conservation of Contemporary Art (INCCA) and is headquartered in Amsterdam. It is a network of professionals involved in the conservation of modern and contemporary art. Conservators, curators, scientists, registrars, archivists, historians and researchers are among its members, and have access to unpublished information (interviews with artists, condition reports, instructions for installation, etc.) through its data base Artists Archives. Their contributions are invaluable for this kind of art, and there’s a really good teamwork between the instances of the museum curator, the conservator-restorer and the registrar, who are directly involved with art objects and can address alternatives and contextual issues. 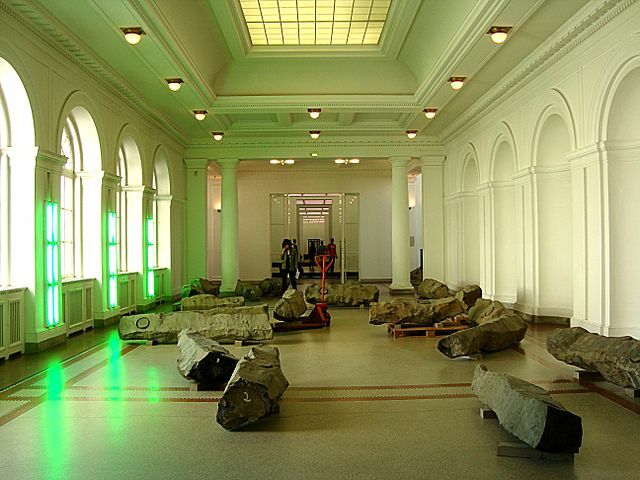 “The Inside Installations: Conservation and Preservation Installation Art was a research project of three years (2004-2007) on the care and management of an art form in which the conservation challenges prevail.” There was edited the recent book Theory and practice in the care of complex artwork. Recall that these are complex artworks and we think about them and proceed with equally complex thinking. The registrar pre-curator is a complex registrar, and should know how to register art objects and their contexts – and apply the appropriate terminology. In the book you can see an example from the Inside-Installation, Installation Revolution, a monument for the television revolution, including a specific report of the Registrar. Also, the “Model for registration data” developed by the Foundation for the Conservation of Modern Art (SBMK) from the Netherlands in 1997). A pre-curator registrar must be updated on issues related to contemporary art and its preservation and aesthetic implications. Important events were: About performing documentation in the conservation of contemporary art ; The Meaning of Materials in Modern and Contemporary Art; and the Forging the Future project. As for the almost ethereal nature of the communication dimension, senses, interpretation and context that is part of the work of contemporary art, see the website of this series of lectures given also in the Museo Reina Sofia in Madrid, in March entitled “Repensar el espectador: teoría y crítica de las artes performativas” [“Rethinking the viewer: critical theory and performance art”]. In essence, the approach developed is one that calls performing arts, which “are exercised, are acting” are no longer just an object or a product of the artist’s creativity, but now become an event in which the viewer is involved in the creation of meaning. The co-creation of meaning is part of the work, which is the subject and context, event, abstract and aesthetic sense, and all this is public, and all that should be registered, the extended and technical data should also be cataloged. These updated criteria are required for registration forms or formats that include documentation of all these variables (and providing additional spaces for information and ways unthinkable at the time of registering), including guest artist requirements incorporating his own expectations and sense and technical requirements, including those of the viewer and their interaction. It also requires a software that includes fields like these and chances of hypertext interaction. 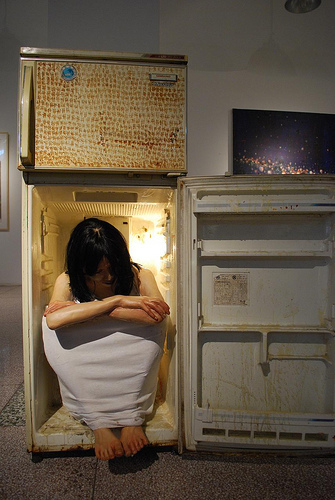 And, by the way, what to do with performance art in which the artist is part of the work? Do you “register” him / herself? And with regards to the documentation of this art, it will be important to link with the next event in the Performing Documentation in the Conservation of Contemporary Art, to be held in Lisbon from 20 to 21 June 2013. As we have seen, the informational dimensions of our works of contemporary arts include references, concepts, controlled vocabulary, taxonomies, semantics, semiotics, and folksonomies, in short, expanded technical data. They provide many starting points for (re)meanings and (re)interpretations, and should be part of the records and technical data of this type of artwork. They are search terms for the artworks and their contexts. There are exact terms, standardized, simple, with just one significance, appropriate for objects, and there are others that open more senses as they occur in the re-interpretation of art, are complex and imply multiple potential re-meanings, creating an open matrix appropriate for contexts. For these resources, the registrar must exert his/her mental conceptual structure, be elastic and open multiple connections. It is a hypothesis which is confirmed in our work by recording contemporary art. That is the appropriate hypothesis! Thank you very much for adding our weblink to your section “Professional Time Wasting on the Web”. It is a pleasure to have to all of you in our professional field. Muchas gracias por agregar la dirección web de nuestro blog a vuestra sección “Professional Time Wasting on the web” [“Tiempo profesional invertido en la web”]. Es un placer tenerles a ustedes en nuestro campo profesional. Besides, your museum owns the very first joystick I ever held in hands (from an Atari 2600, the console worked still a few years ago when we exhibited it with a historical car race game (“Indy 500″…)), so, kudos to you and keep up the good work! Además, tu museo posee el primer joystick [palanca de mando] que tuve en mis manos (de un Atari 2600), la consola funcionaba aun hace pocos años cuando la expusimos con un histórico juego de carros de carrera (“Indy 500”)), así que, felicitaciones para ti, y sigue tu buen trabajo! Übrigens besitzt Ihr Museum den ersten Joystick, den ich je in Händen hatte (der von einem Atari 2600, die Konsole funktionierte vor ein paar Jahren immer noch, als wir mit ihr ein historisches Autorennen-Spiel (“Indy 500″…) ausgestellt hatten). Also, Hut ab und machen Sie Ihre gute Arbeit weiter! Your comments are welcome, and I think my aforementioned article should add a paragraph dedicated to the struggles of the registrar to videogames. Some of these factors you mention could well be part of the technical data of the parts, as the number of bits and bytes involved. I see this as something trivial, on the contrary! Greetings and thanks for your inspiring comment. Es bienvenido tu comentario, y creo que a mi referido artículo habría que agregarle un párrafo dedicado a las luchas del registrador para registrar videojuegos. Algunos de esos aspectos que comentas bien podrían ser parte de los datos técnicos de las piezas, como la cantidad de bites y bytes involucrada. No lo veo como algo trivial, ¡al contrario! Saludos y gracias por tu inspirador comentario. Ihr Kommentar ist uns hochwillkommen, und ich denke, in meinem oben stehenden Artikel fehlt noch ein Absatz, der dem Kampf des Registrars mit Videospielen gewidmet ist. Einige der Faktoren, die Sie erwähnen, sollten Teil der technischen Daten der Objekte sein, wie die beteiligten Bits und Bytes. Das ist aus meiner Sicht alles andere als trivial, im Gegenteil! Viele Grüße und Danke für Ihren inspirierenden Kommentar.